I winced this month when a presidential candidate said that half of her opponent’s supporters were “deplorable.” Perhaps her pneumonia caused her lapse in judgment, but I have no such excuse for a similar blunder I made in 1991. That was the year I began a one-year residency called Clinical Pastoral Education (CPE), a prerequisite internship for becoming a hospital chaplain. My CPE started in a classroom at UC Davis Medical Center in Sacramento with three other interns, Vicki, Dave and Father Frank. 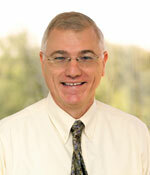 Our supervisor, Dr. Tim Little, was legally blind. On the first day of CPE, Little tapped his white cane on the tile floor like a conductor on a music stand. With that quick explanation, he asked us for introductions. Dave began, speaking with an actor’s charm and good looks. He’d recently graduated from a Presbyterian seminary, but admitted he didn’t know what he’d do after CPE except marry his equally pretty fiancé. Father Frank muttered something about feeling forced into CPE by his bishop and then motioned me to talk. I recounted my seven years as a Southern Baptist Pastor and nervously joked about trading my well-paying pastor’s position for a $10K internship without medical insurance. Vicki spoke next. A heavyset woman in her mid-40s, her Coke-bottle glasses, and short-cropped hair shaded her with a glint of meanness. However, her sweeping smile countered her toughness as she recalled the spiritual awakening she’d had as a Catholic lay leader. She was hoping CPE would help her find a niche in ministry. Then suddenly, she turned her focus toward me. “I’m also a lesbian. Can you accept that?” she asked. Father Frank stared at his scuffed shoes. Dave shrugged. I was the only one who hadn’t known her secret. “I’m not sure,” I said, shaking my head. I was lying. I was sure I could not. Afterward, I confronted my supervisor privately. “Homosexuality is deplorable!” I told him. I insinuated how I might drop out and then took a dramatic pivot toward home. The next day, Little called the two of us into his office. “Do you realize how afraid you are of each other?” he asked. “You’re afraid of me?” Vicki asked incredulously. “Are you really afraid of me?” I asked, equally surprised. “No, I said. “I could never hate you.” That was the truth. Or at least I needed it to be. Then Little made a big prediction. Over the next year, Little was just a little more than right. I watched in hushed admiration as Vicki baptized a SIDS baby. Vicki held me as I sobbed over the loss of a burn patient on my unit. She incessantly teased her “seminary boy” as she called me, but she also got in my face when she thought I wasn’t being honest with myself. She was a gift. She was a friend and I loved her. My ministry is twice what it would have been without her. She died a few years back and I still miss her. As for Dr. Little, he’s now retired and totally blind. However, if you should ever meet the old chaplain, don’t be fooled. That old coot still sees a hell of a lot. 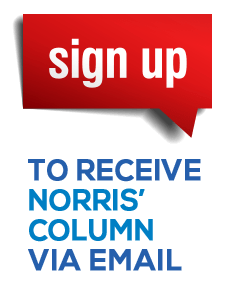 – Write Norris at comment@thechaplain.net or P.O. Box 247, Elk Grove, CA 95759. Twitter @chaplain, or call 843-608-9715. Read more at www.thechaplain.net.